Adult pleasure – what language learning can really be! Young learners – fun activities and great company. Not only will you study Spanish at a top language institute and so improve your speaking, but you will also get to know the eighth largest country in the world. Imagine arriving in its charismatic capital of Buenos Aires and use it as your base to discover the region. Savour its world famous steaks, pasta and if you are interested, visit the vineyards along the Andes! You can live in this thriving and modern city, day and night, watching football and doing the Tango. Walk, run, cycle and dance to your heart’s content. LANACOS offers you the exclusive option to have flexible, fast-learning and effective Spanish immersion in Buenos Aires. Speak, eat and sleep Spanish with LANACOS! Imagine improving your Spanish while dancing the Tango, foreign language learning at its best. Practice with a highly-trained and experienced teachers, learn key dance steps through formal instruction in a friendly and welcoming atmosphere. Dance and interact with other students in Spanish. Option to extend stay or make more intensive with private lessons. Do you want a bilingual business career to prove you know how to speak Spanish in a professional setting? Here are 6 hrs of lessons per day, Monday through Friday, for Spanish levels A2 and higher. Business Spanish consists of 4 hrs of group lessons in the morning and 2 hrs of private lessons in the afternoon with a focus on business content and vocabulary to suit your professional needs. Study Spanish with friendly professional teachers and arrive most weekends. Option to extend. Ask for more details. Prices in € or $. Do you want prices in US Dollars or EURO? No problem! 20 lessons per week. Integrate and converse confidently in Spanish and get to know South America! Participants are immersed in Latin rhythm and culture. Arrive most weekends and start on Monday. Enjoy lots of free social events from dancing the Tango and watching Argentinian football at its best while having access to sports (football, swimming, sailing, tennis, horse riding,dance studios and golf). Choose from wide range of accommodation with hosts or independent studios, B&B, half-board or full board. Superb opportunity to live in a Latin lifestyle. Optimise speaking with locals while making the most of your month. 20 lessons per week from Monday to Friday focusing on Spanish fluency and phonetics. Make the most of your time by discovering the cultural and sporting delights of Buenos Aires and surrounding area on weekend excursions. Long-stay accommodation in residences much cheaper than hotels, ask for more details. 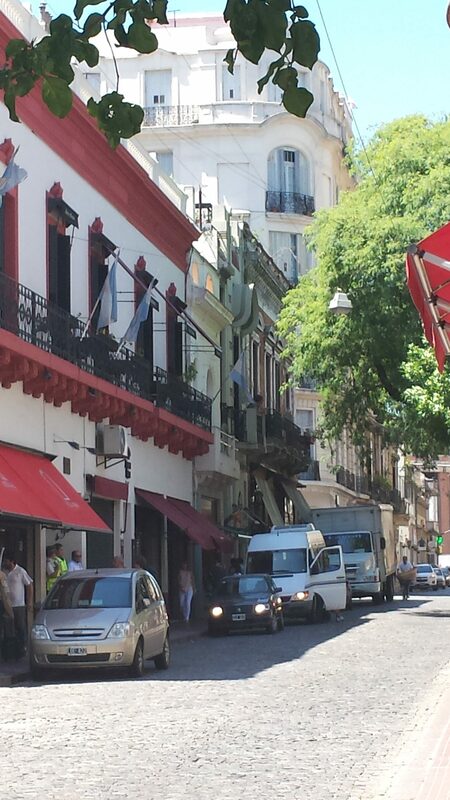 12 weeks to master the language and enjoy Argentina to its max. Combine language learning with cultural and sporting activities. All year round, arrive most weekends and you will benefit from local prices for the locals. Cycle, visit the beaches and sail to explore the coastline. Socialise with students of similar age. The objective of the course is to is to maximise your time in a real Spanish-speaking environment. The end result is to raise the individual’s level of communication, confidence and understanding for later life while having a great gap year. Improving you Spanish naturally and gradually through this immersion programme will bring great benefits. Everyday there are new learning activities. It will be full of stimulation and fascinating new places. Choose accommodation in affordable self-catering apartment or specially-selected host. NO Registration fee, so book asap! The online advice service to improve your learning experience. For complete confidence choose the LANACOS® service and formula. Qu’est-ce que c’est..что это..Was ist…qué es…何…LANACOS? An invaluable service for the Motivated Language Learner. Established in 1993 by top linguists, LANACOS® is a professional language service – with its own world-recognised registered mark. It is a world-famous and well-respected brand leader who looks after your interests before, during and after the language stay abroad. This unique service is invaluable – giving you peace of mind and inside knowledge of accredited language courses and their locations. We have been offering a professional, secure and friendly language service for more than 25 years. Join the club! Have you used LANACOS in the past? Well if you already know, the Club is a network of individuals interested in travel and learning. The club is exclusive and only open to those members who qualify. There are great benefits in terms of extra advice, special terms and offers. You have the opportunity to discuss matters with other like-minded individuals. The club is truly cosmopolitan and multinational, we have members from over 30 countries (including, UK, US, Chile, Spain, France, Germany, Nigeria, Japan, Brazil, Colombia, China, Venezuela, Italy, Peru, Argentina, Poland, Australia and Russia). Remember to be Cosmopolitan by definition means: knowing many parts of the world free from national limitations and prejudices. ©2017 LOVE LANGUAGE LEARNING LTD. LANACOS® is a registered mark of LOVE LANGUAGE LEARNING LTD. All rights reserved.